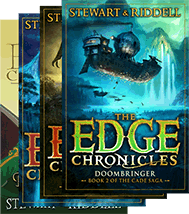 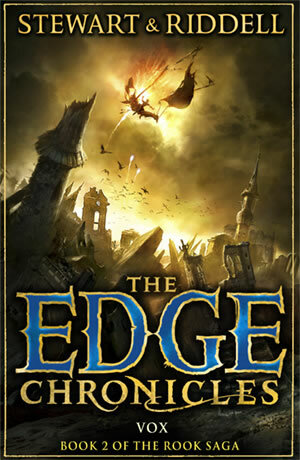 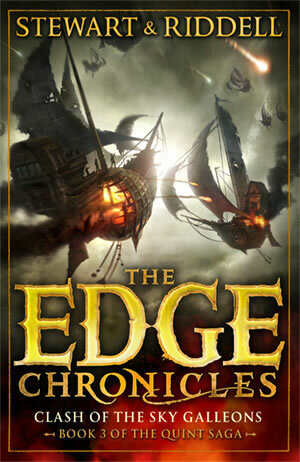 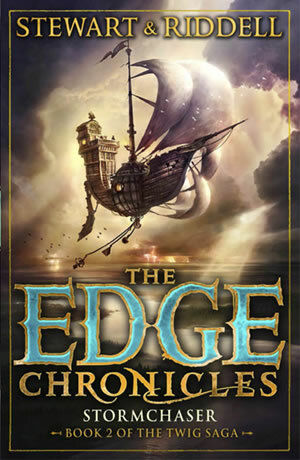 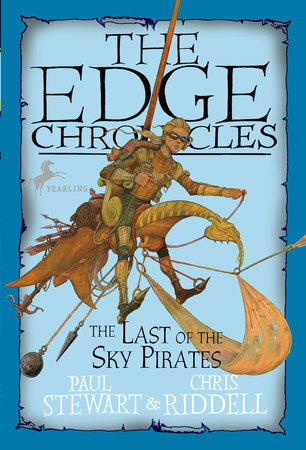 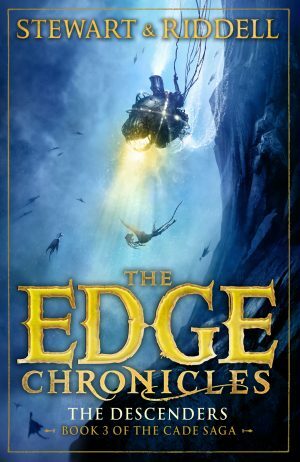 The Last of the Sky Pirates is the first book of the Rook saga – the third trilogy in the Edge Chronicles. 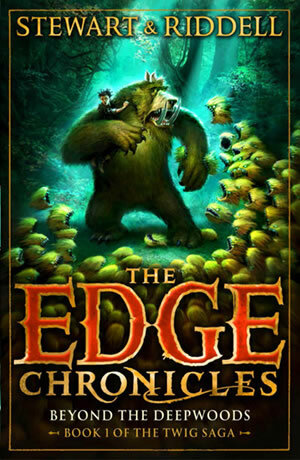 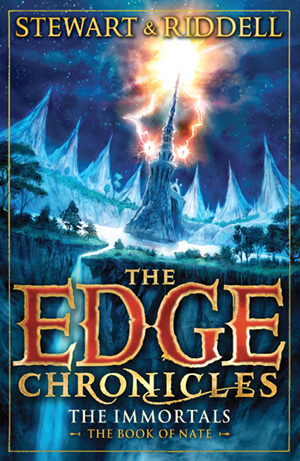 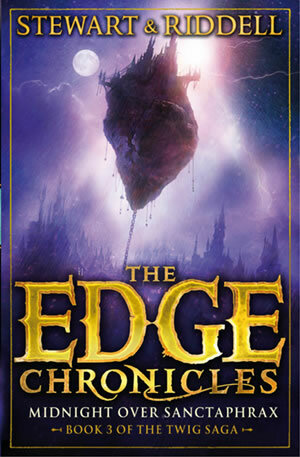 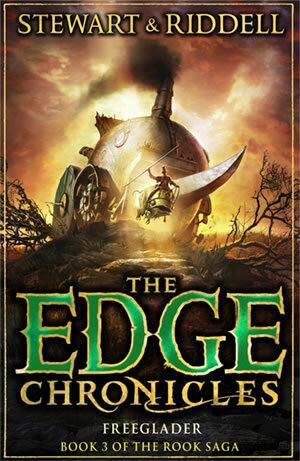 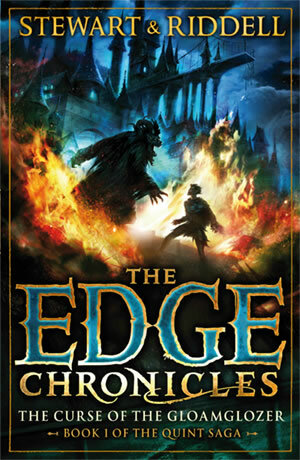 Rook Barkwater lives in the network of sewer-chambers beneath Undertown, the bustling main city of the Edgeworld. 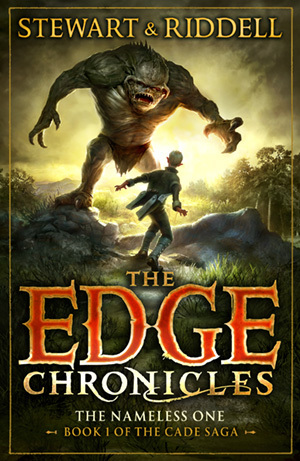 He dreams of becoming a librarian knight, one of those sent out to explore the mysteries of their world. 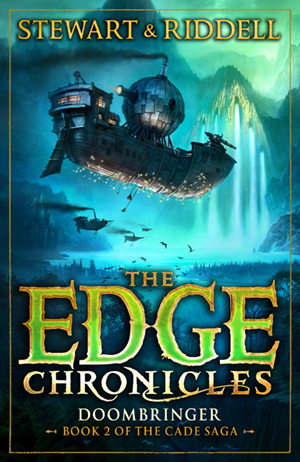 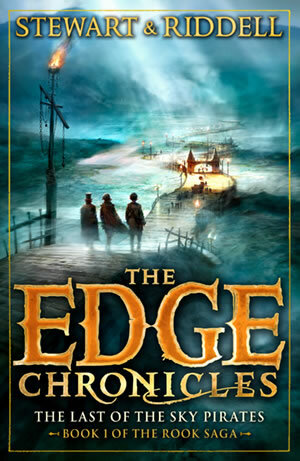 Somewhere out there lie the secrets of the past – including the lost floating city of Sanctaphrax – and hope for a future free from the fear of tyranny. 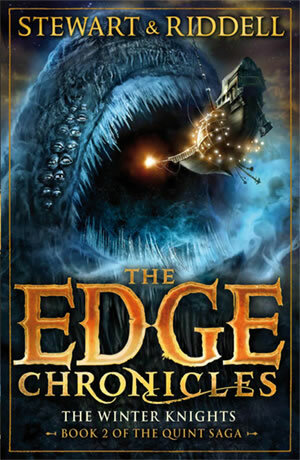 When his chance comes, Rook breaks all the rules and sets out on a journey to the Free Glades. 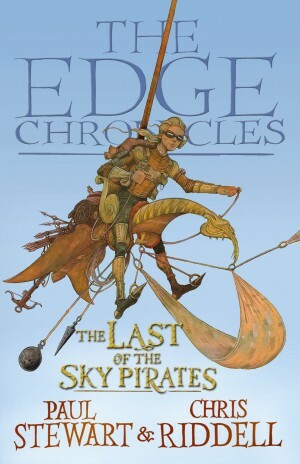 His luck and determination lead him from one peril to another until he encounters a mysterious character – the last sky pirate – and is thrust into an extraordinary adventure.